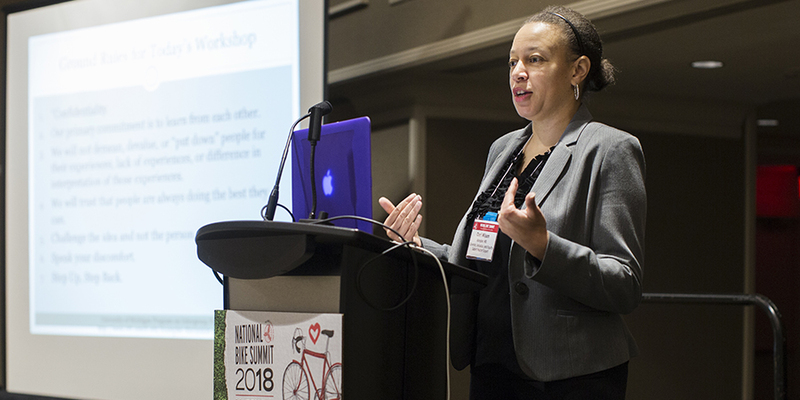 Now that we’re a few weeks out from the 2018 National Bike Summit (#NBS18 on social media) and we’ve had a chance to share the presentations, photos and videos, we wanted to take a look back at some of the highlights of the event. 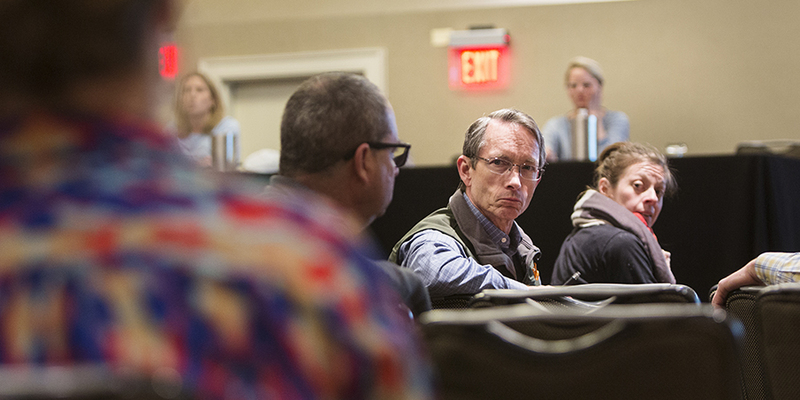 NBS18 got moving quickly on Monday morning, with three mobile workshops. 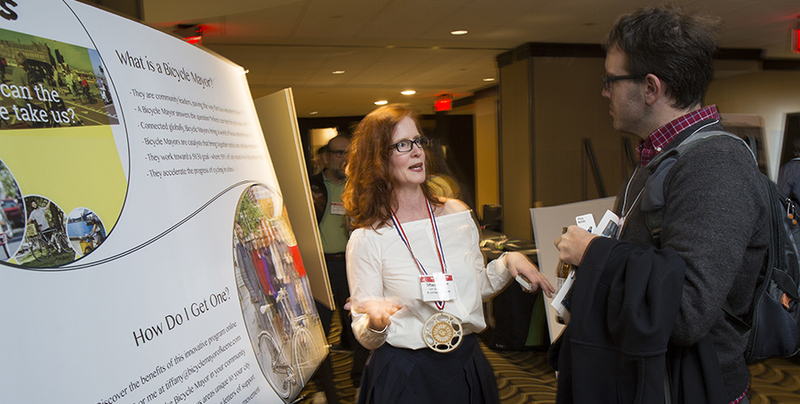 This is the third year for mobile workshops at the Summit, and we returned to three favorite destinations, all awardees in the League’s Bicycle Friendly America program. First was a trip to the University of Maryland, College Park, one of the League’s 182 Bicycle Friendly Universities. 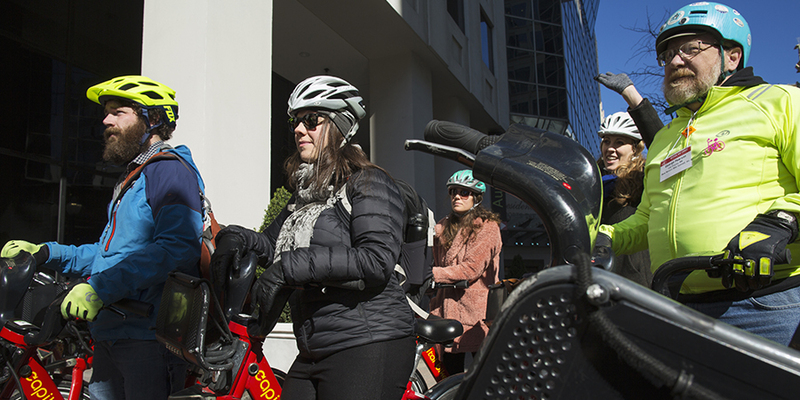 Then participants hopped on Capital Bikeshare bikes and visited Bicycle Friendly Businesses National Public Radio and National Geographic. Thanks to the Washington Area Bicyclist Association for providing the ride marshalls that made these workshops possible! Monday morning also featured a workshop led by Cheri Wilson, a nationally recognized expert in diversity and inclusion, who invited participants to look at implicit bias and how it affects actions and decision-making. The afternoon’s Opening Plenary was kicked off by U.S. Secretary of Transportation Elaine Chao. 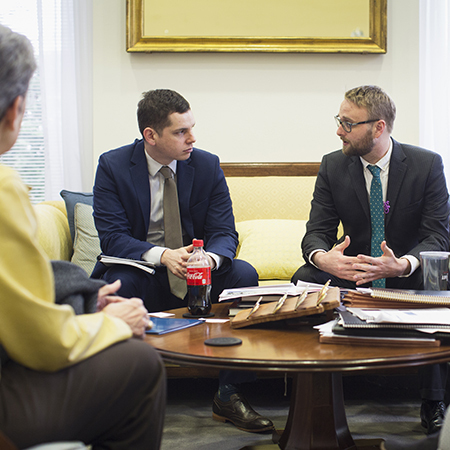 Secretary Chao talked about how the DOT is empowering state and local decision making by providing resources like the Federal Highway Administration Guidebook for Measuring Multimodal Connectivity, which was announced at the Summit. 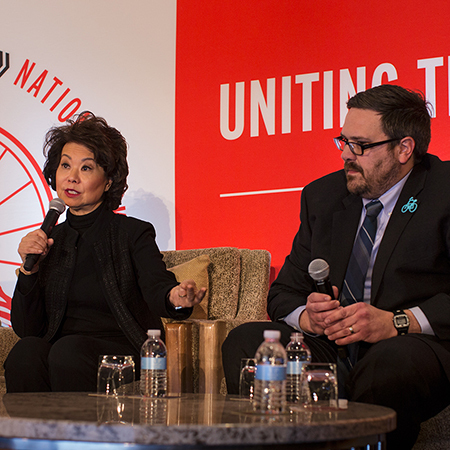 Secretary Chao’s speech was followed by a Panel Discussion: “Perspectives from Stakeholders: What is moving in transportation in 2018 and after?” and an award presentation where Washington, DC, was recognized as a Gold Bicycle Friendly Community. You can see a video of the entire session on the League’s YouTube channel. 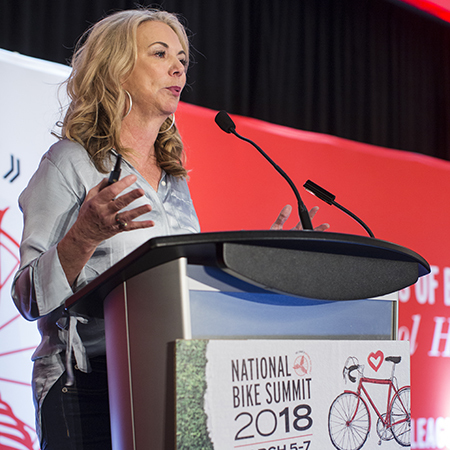 The afternoon featured sessions covering topics from youth education to e-bikes to the federal biking and walking policy platform. Presentations for these sessions and many others are available on the League Blog. 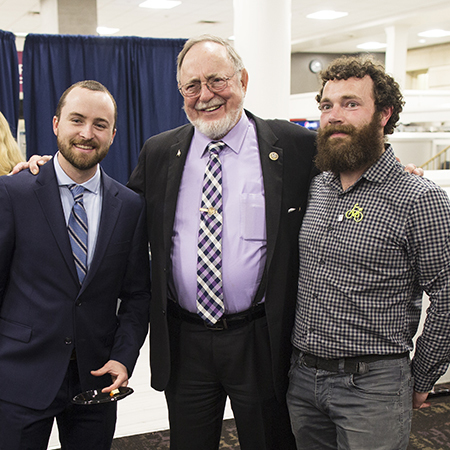 While the sessions were packed with informative presentations and opportunities to discuss important issues, the Summit also featured plenty of opportunities to mingle. Returning sponsor New Belgium Brewing provided beers for Monday’s and Tuesday’s happy hours, which coincided with the Summit Poster Sessions, which highlighted initiatives from around the country. 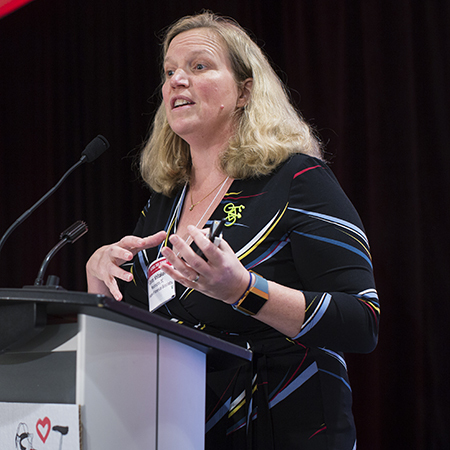 The Welcoming Dinner featured a keynote speech from New Belgium founder Kim Jordan. 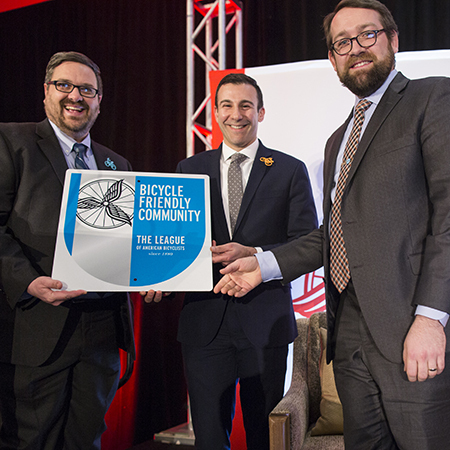 Before Kim spoke, the League of American Bicyclists’ Executive Director Bill Nesper recognized the recipients of the 2018 League Awards. 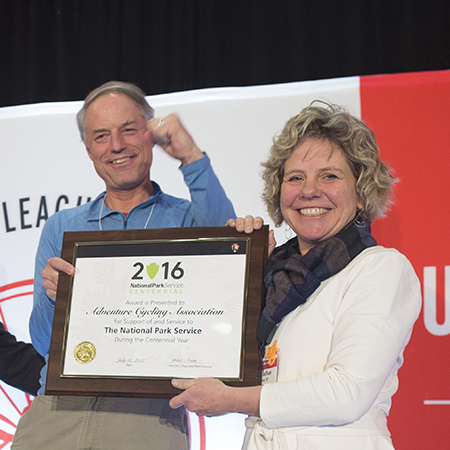 To start off the night, our friends at Adventure Cycling Association were presented with the Centennial Award by the National Park Service. Watch the video here. 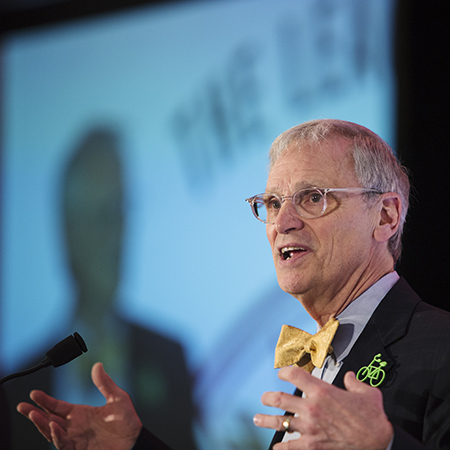 Representative Earl Blumenauer (D-OR) has spoken at many past Summits. 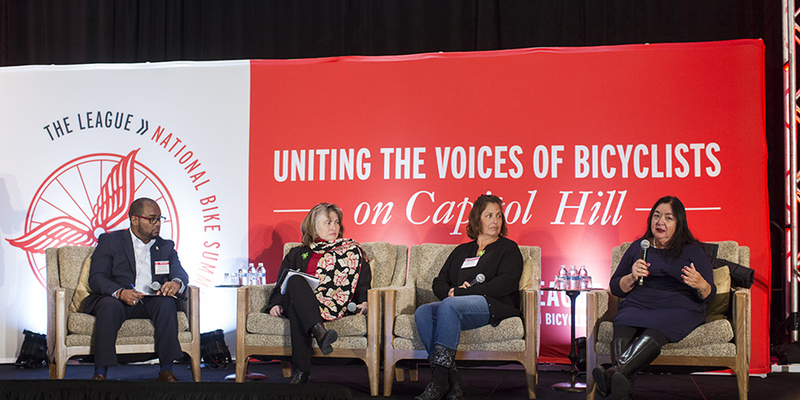 For NBS18, he led off day two and a session on “The State of Play in Congress and the Administration,” talking about what he thinks are the opportunities and challenges ahead for improving federal funding and policy for bicycling and walking. 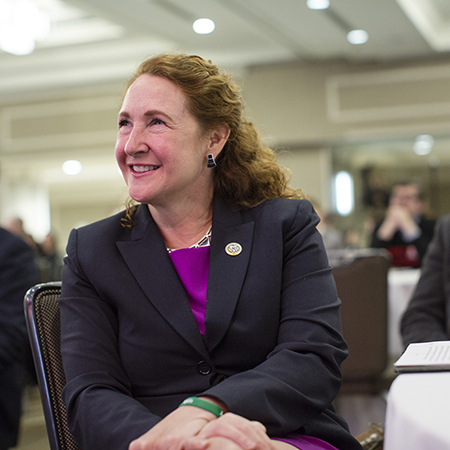 He was followed by Representative Elizabeth Esty (D-CT), the co-sponsor of HR 4241: The Transportation Access and System Connection Act. 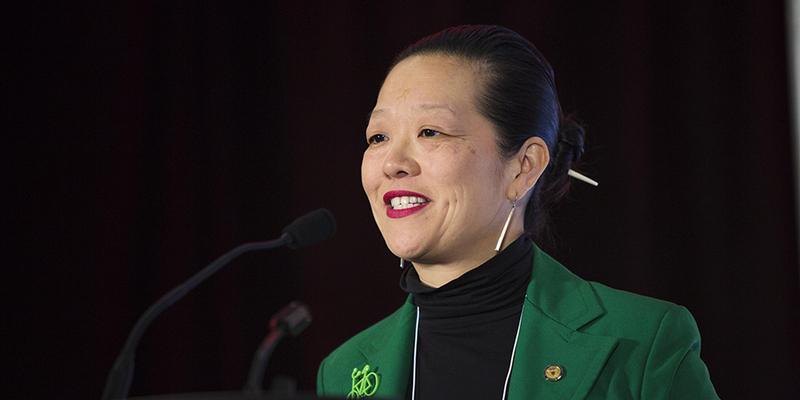 The next speaker, Bella Dinh-Zarr, a member and former Vice Chair of the National Transportation Safety Board (NTSB) talked about the work the NTSB is doing. 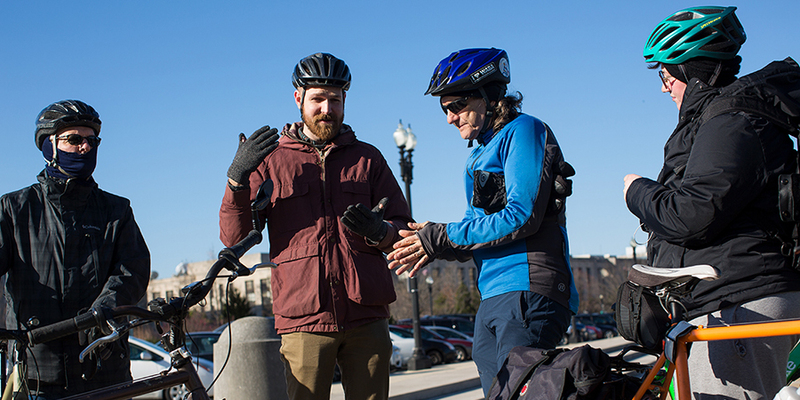 In addition to sharing her enthusiasm for biking, she also discussed several recommendations the NTSB has made that can help make cyclists safer. You can watch the video of the session here. 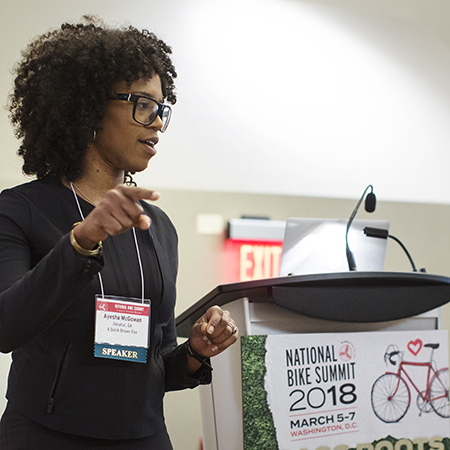 After a full slate of morning sessions, Tuesday’s lunch plenary was moderated by Adetokunbo “Toks” Omishakin, Deputy Commissioner of the Tennessee DOT and and the Vice Chair of the Council on Active Transportation for AASHTO. He talked about how advocates can work with their state DOTs to improve conditions for biking and walking. 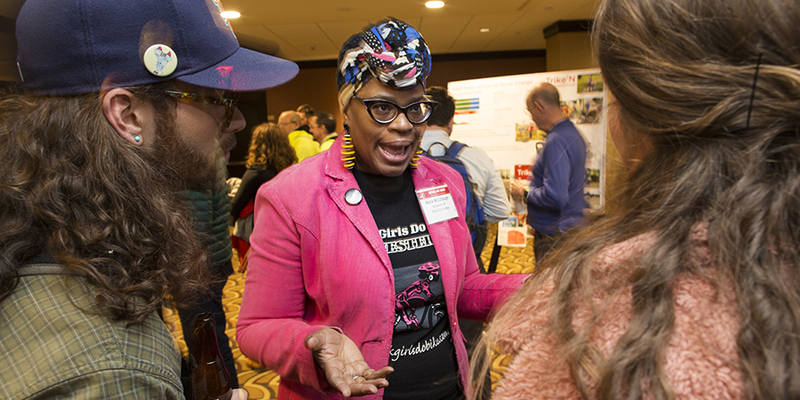 Toks then moderated a panel discussion covering development, transportation, housing, and land use in the work to build more equitable, healthy, and resilient communities. As you can see from the video, the topics produced some very passionate responses from the audience! 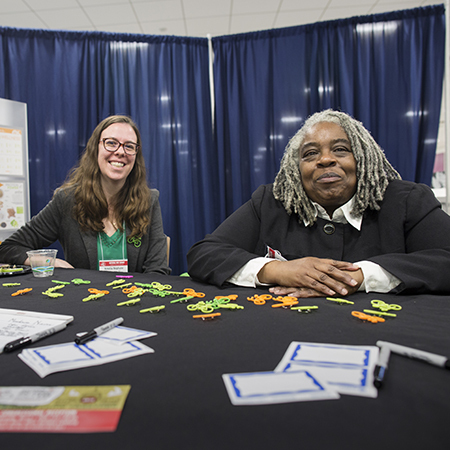 Tuesday afternoon was packed with sessions, including ones focusing on fundraising events, representing diversity through content creation and automated vehicles (presentations available here), as well as two more mobile workshops. 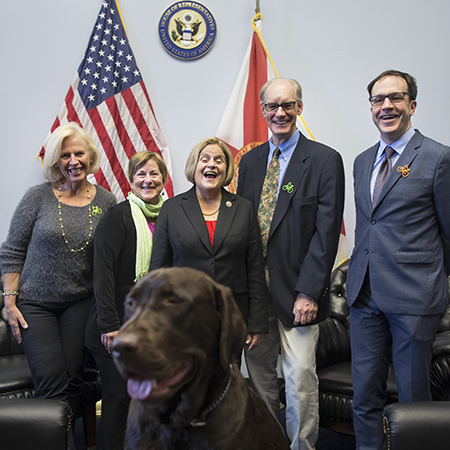 #BikeLobbyDay started off with morning and afternoon visits to the offices of each attendee’s Representative and Senators. 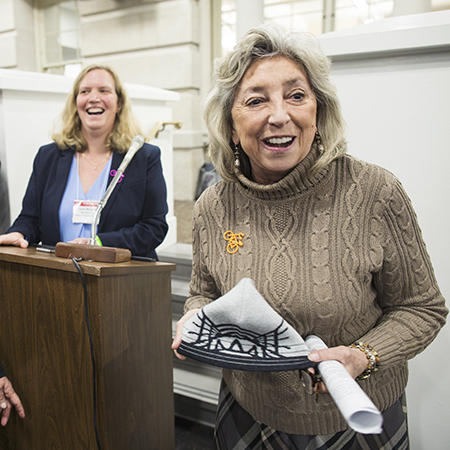 After a full day of walking the halls of Capitol Hill (some attendees recorded over 16,000 steps that day), the group convened in the Longworth House Office Building for a Congressional Reception, featuring speeches from Rep. Dina Titus from Nevada and Rep. Donald Young from Alaska. 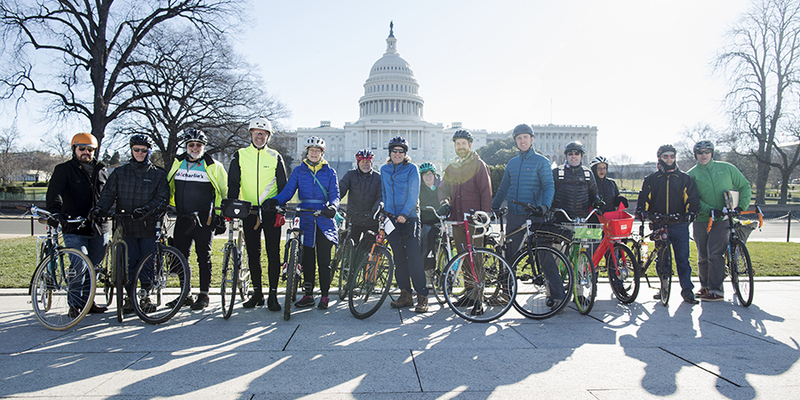 While the Summit wrapped up Thursday morning with a brisk (temperature, not pace) edition of the traditional Congressional Bike Ride, Summit attendees are still posting about their adventures on social media and sharing how they are looking forward to next year’s event. It will be the 20th annual Summit! 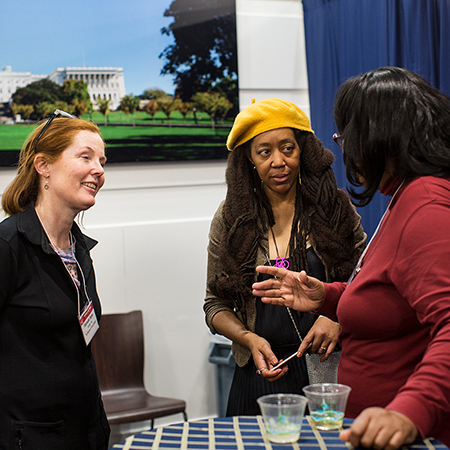 For a first-hand report from #NBS18 from a first-time attendee Calli Crow, read this blog post. All photos by Brian Palmer.